While the corporate press continues misrepresenting information, quoting unnamed and thus unverifiable sources, and even printing flagrant fabrications, Wikileaks indeed maintains an unparalleled streak of publishing authentic and undoctored data — despite excoriation from the establishment — thus eliminating all bias or unintended insertion of opinion. But the outspoken publisher’s opinion on so-called fake news emphasizes the disastrous failings of a mainstream media hell bent on propping up its own establishment agenda — regardless of which political affiliation a given outlet claims. 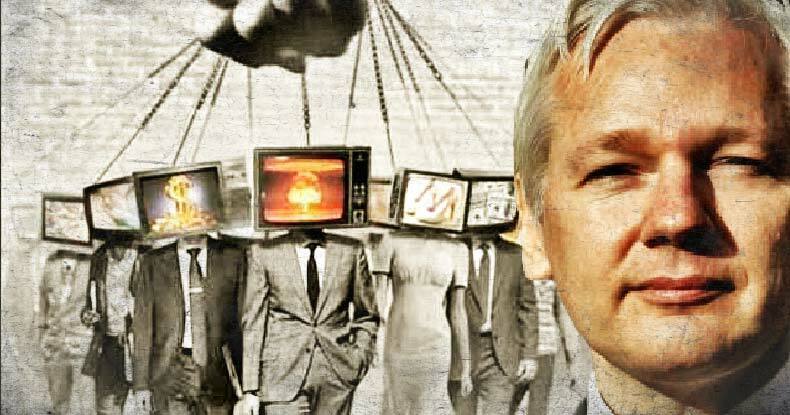 Assange’s description of weaponized text characterizes the corporate press’ penchant for propaganda — a political establishment-friendly slant that has once-illustrious media institutions like the Washington Post and New York Times frivolously abandoning journalistic integrity whenever it’s deemed necessary. “This latest astounding deviation from the facts, however, makes indisputably clear the weaponization of news. Journalists and media outlets make mistakes from time to time, but a pattern and practice of publishing unfounded, unverified, and fraudulent articles cannot be characterized simply as irresponsible. That assessment has proven true, as what appears to be recklessness in corporate journalism generally gains editorial approval if the article appeals to emotion and will manipulate readers into a specific thought pattern — like both anti-Russia and anti-Iran reports so frequently topping mainstream headlines. Of course, no coincidence exists in the corporate press’ continued stark criticism of Wikileaks as a politically-motivated organization — an allegation oft repeated during the last presidential election cycle. Such accusations only act to divert attention to the corrupt ugliness displayed by politicians and insiders who never imagined their words behind curtains would be unveiled to public scrutiny. Outlets loyal to the Democratic establishment thus accused Wikileaks and its founder of publishing damning documents from the DNC, John Podesta, and candidate Hillary Clinton as part of a political vendetta — particularly due to the lack of documents the outlet received on rival Donald Trump. Assange has emphatically repeated that Wikileaks cannot publish what it doesn’t have in its possession — and no whistleblower or leaker has yet come forward with a cache of information on Trump or the RNC. Beyond content, Wikileaks came under fire for the timing of document dumps during election season — a matter of such concern to the former Obama administration, U.S. officials attempted to dam the flood of documents by persuading the Ecuadorian Embassy in London, which Assange has called home since 2011, to cut his connection to the Internet. “Sources don’t give you stuff unless it’s going to have impact,” he explained. Critics from both sides of the political duopoly claim Wikileaks’ policy of printing everything in a leak — without editing content — presents a danger to government officials acting surreptitiously in the field. But Assange disputes this, and has said Wikileaks carefully vets every document to ensure no lives would be jeopardized before it publishes.